Religious saints are often pictured in long flowing robes. They also occasionally don crowns on their heads. Saints have that in common with medieval royalty, the Wise Men and, it seems, elves from the “Lord of the Rings” movie franchise. 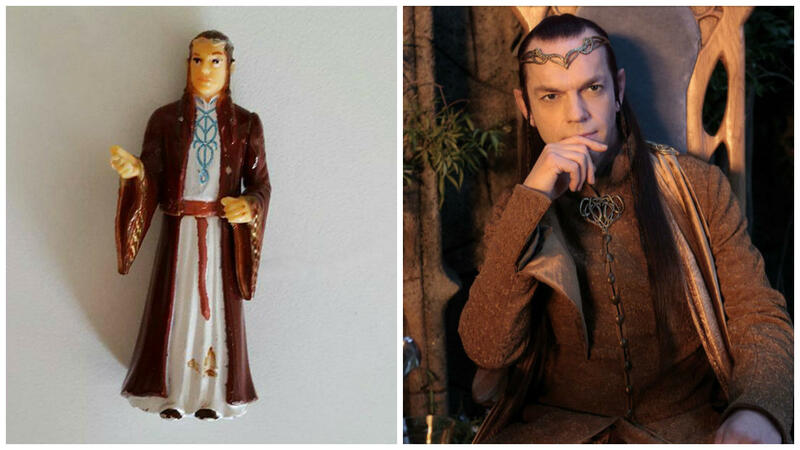 So, when a Brazilian grandmother, named Dona Nely, received an Elrond figurine from her boyfriend as a gift one year, she simply assumed it was a saint -- Saint Anthony, to be exact -- and began praying to it nightly. Nobody noticed that the little robed figurine by Dona Nely’s bedside seemed a bit off, until one day recently when her great-granddaugter -- Brandão’s daughter -- began playing with it and brought it into the kitchen, where the family was seated. “That’s when I saw it and asked, ‘Guys, does Saint Anthony have long hair?’” Brandão told CBS News. As it turns out, he doesn’t. Saint Anthony of Padua -- the patron saint of lost or stolen articles -- is either depicted with very short hair or bald with a ring of hair around his head. In the end, Dona Nely thought the case of mistaken identity was funny, as well. So, Dona Nely now has a proper Saint Anthony figurine with which she can pray for miracles, lost causes and matchmaking... no doubt the way she intended it all along. As J. R. R. Tolkien characters go, however, Lord Elrond of Rivendell isn’t such a bad one to have mistakenly worshipped all those years. A “Lord of the Rings” figurine could certainly get a lot worse.